Hello! How’s it going? 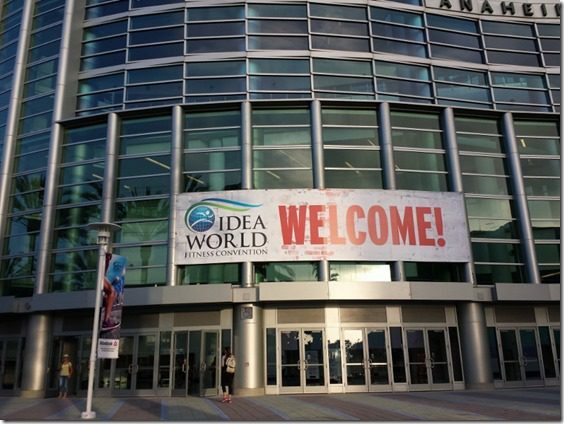 I’ve been busy at the IDEA World Fitness Convention. 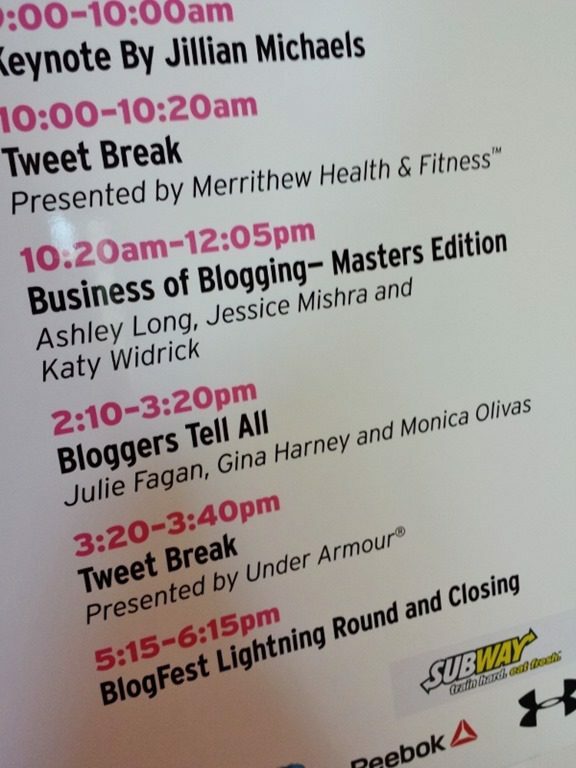 This year they also had Fitness BlogFest along side IDEA – it was packed with information sessions and workouts specifically for fitness bloggers! 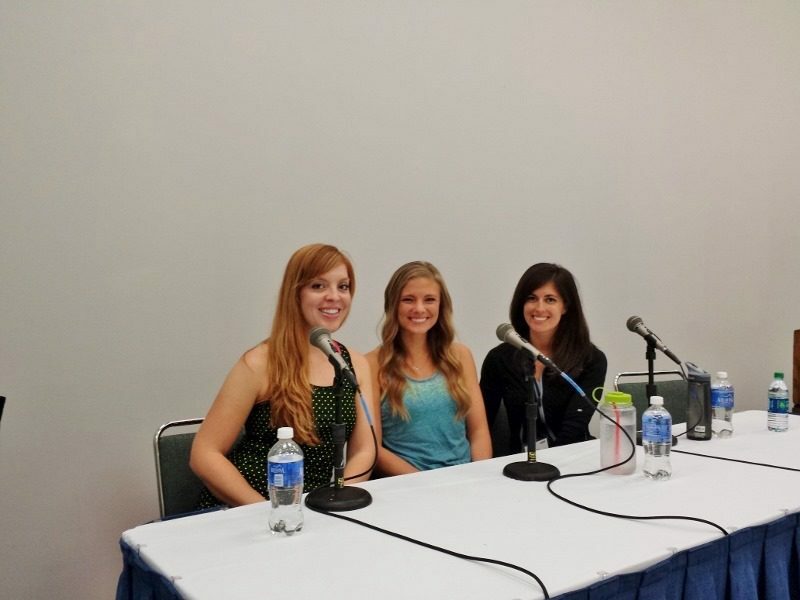 On Friday I was on the “Bloggers Tell All” panel with PB Fingers and Fitnessista. 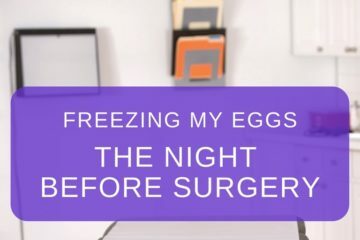 I wasn’t sure what to expect since “bloggers tell all” is a pretty mysterious, but intriguing title! But, we kept it pretty tame. Katy Widrick was the moderator and started by asking us what’s the best thing that has come out of blogging for each of us. – What are some of your favorite apps or plugins for blogging? A: I don’t remember who said what, but it included… PicMonkey, Google Analytics, Canva and Windows Live Writer or Mars Edit (depending on if you’re a PC or Mac peep). – Do you think someone just starting now can grow their blog into a full time job. A: (I took this one.) Yes. There are billions of people on the internet – there is an audience out there that wants great content! 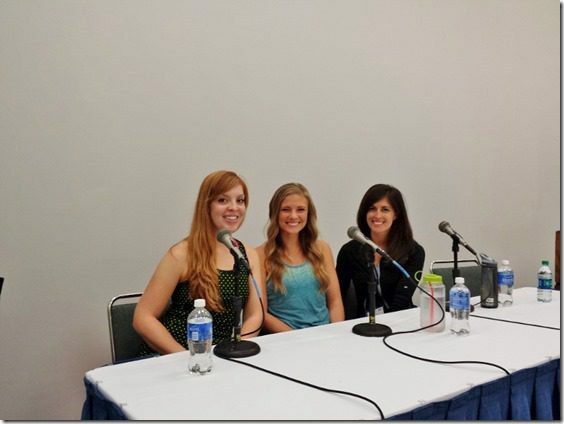 It’s important to remember we (the girls on the panel) spent a few years growing our blogs to a place that made money, so it didn’t happen overnight. But if you are willing to put in the work and time it can totally grow. – What percentage of your income comes from ads, what comes from sponsored posts? A: I actually have a post coming up on this because ‘how do you make money’ is the question I get most often. – What does a day in the life of a blogger looks like? A: We all described our days pretty briefly. Julie is house hunting right now so that takes up a lot of her time. Gina has an adorable little girl and balances that with teaching. 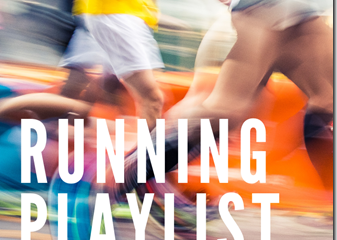 I run and eat and then blog. I actually have a schedule for the hours of 8:30am to 6pm Monday through Friday to help keep me on track. I am super unorganized and this helps me stay on top of deadlines and things. After our session I walked around the expo and saw Billy Blanks! Hello, this is awesome. Apparently he’s opening a new studio in Dana Point – that’s super close to me!! Dinner was all the girls piled into one room for room service. It was like an epic slumber party. Then, it was time to shut it down. 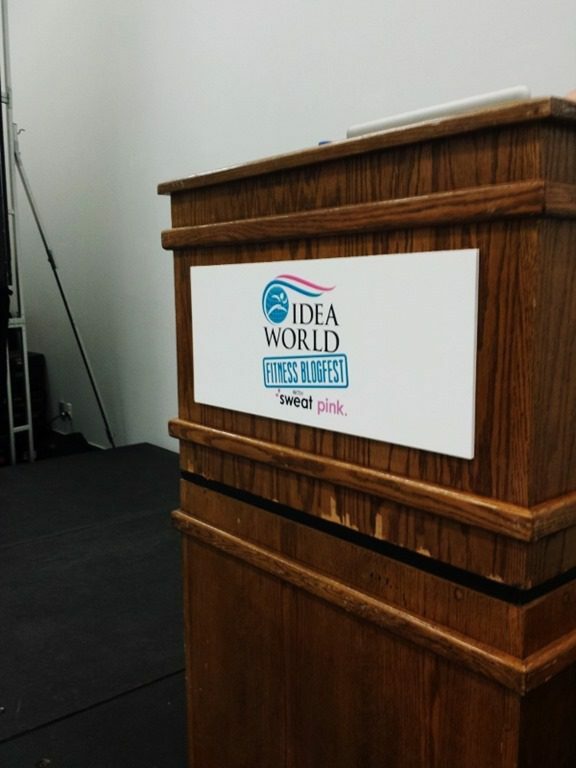 I really had a BLAST at IDEA World this year. And I’m super inspired to keep chugging along on RER and share my journey and tips and everything in between with you guys. I love it. Question: What is the best part of your job or school right now? 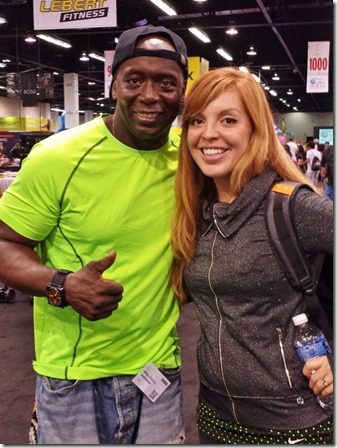 Billy Blanks!!! I did his Tae Bo videos (I’m pretty sure they were VHS!) when I first started exercising. Sadly there isn’t anything I like about my job right now. Hoping that a new position will open up internally and to get me off the road and out of my car ALL DAY LONG. 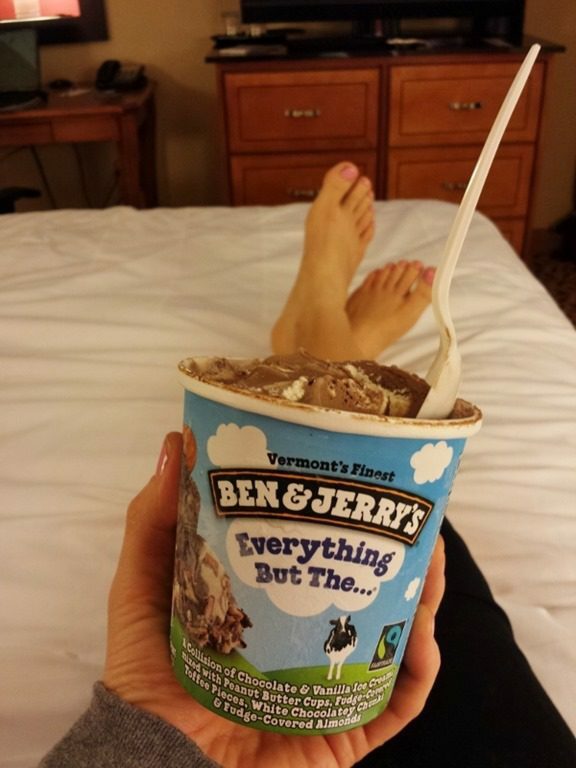 I love that your feet look like they are coming out of the ice cream container. Thank you for sharing! I really like the idea of keeping a daily calendar to stay focused. Good organizing tool. I’m actually starting a new job TOMORROW and in that whole “freaking out” mode. . . you know, totally necessary. Hi Monica! I came across your blog looking at all the recaps from IDEA this year. 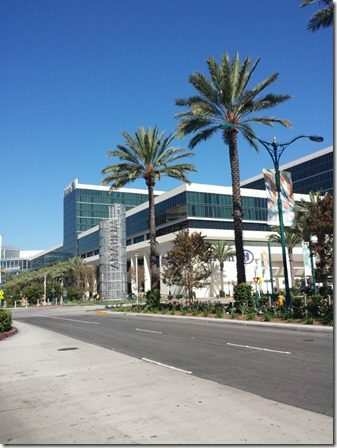 I really wanted to go to the conference, but couldn’t make it happen. I’m a personal trainer at a new Equinox club and am also a Les Mills group fitness instructor, so my day-jobs involve a lot of learning about fitness, and the best ways to help others workout with great form for good results. While my blog is still pretty young, it’s something I’m so passionate about and look to bloggers like you, Julie, Gina and the others as models of keeping it real. I look forward to following you now. Thanks! It was fun to meet you. I enjoyed your session. 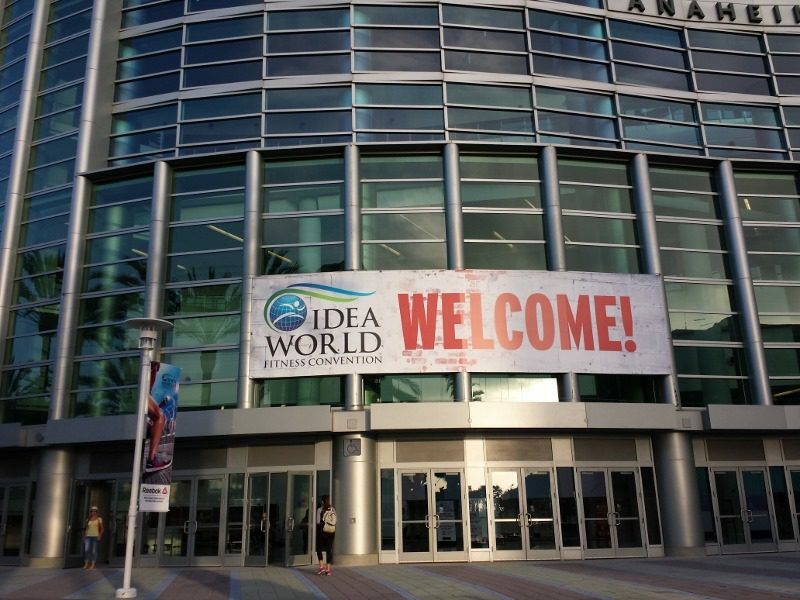 I think it was an excellent event, and so fun to be able to join the IDEA convention for the last two days. What a fun conference! I hope to be able to go next year! Had so much fun this weekend!! I also coach junior high cross country and track–sharing a sport I love with kids=joy. A side benefit is I always get to wear running clothes! Sounds like such a fun time! I would have loved to come if it wasn’t right around my due date. Great panel, too! Favorite part of my work is working from home, counseling around health and seeing “aha” moments and women making life changes. It’s so inspiring and rewarding. I would have loved to listen to your panel. I’d love to go to a blogging conference at some point and just get more tips and tricks. I’m looking forward to your upcoming post on making money blogging! I’m not to that point yet, but it’s nice to know what could happen in the future. I work at a running store, so the best thing about my job for me is discounted/free running gear! And, of course, getting to help people be active, especially people with a lot of foot pain. 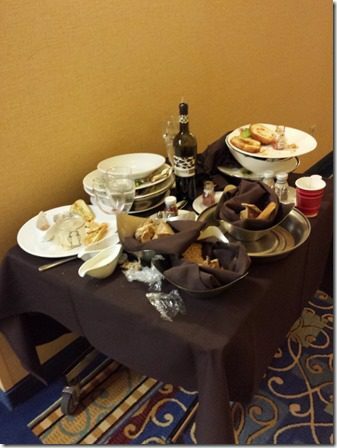 Room service is the best dinner! So fancy! It would be so awesome to attend a conference like that in the future! I’m a social worker, so the best part of my job is pretty cliche…it’s being able to help people. Whether it be with emotional support or just with resources, being able to pass along something makes it worthwhile. 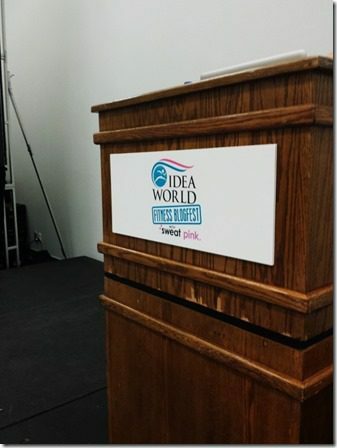 I hope they continue having Blog Fest with IDEA Fit as I’d love to go next year! It seems perfect! Right now I absolutely love my job because it is challenging me in a way I didn’t think possible, while still being enjoyable! And because you get to travel to the most epic places when you’re off? You mean you gals didn’t chat all night???!!! When my gal pals and I get together, it’ll be an all night long affair! LOL! BlogFest was AMAZING!!! I’m so glad I made it out. I’m actually in between jobs right now, so I’m playing full-time blogger for the time being haha 🙂 It’s fun though because it definitely has me hopeful that I could actually make it a full-time gig in the future. Loved hearing your advice and stories in the panel! I’m starting to sit down and outline the introduction for a new manuscript right now. It’s requiring a lot of reading because we’re writing in collaboration with another lab and I’m not to ally familiar with the techniques, but I love learning new things and I love writing, so I’m happy. what a great panel (and conference)! i am loving my job because i have some great fall travel on tap — makes saying goodbye to summer a wholeee lot easier. 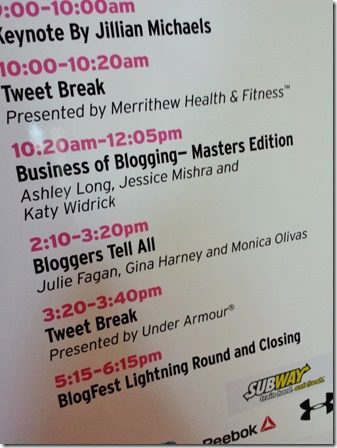 Wish I had been able to attend BlogFest. I just love the sharing that goes on especially since I am still a relatively new blogger. It sounds like your panel was super helpful! 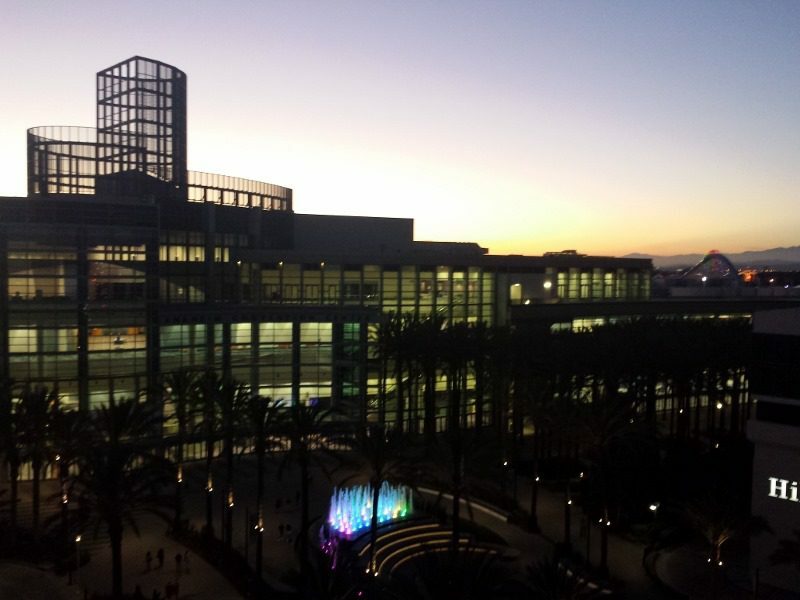 You should look into Fitbloggin’ for next year – it’s a great conference for bloggers too! Mama mia! You met the one and only Fitnessista!